Contributors: Chris Landsberg, Karanja Mbugua, Jibrin Ibrahim, Thaddeus Menang, Churchill Ewumbue-Monono, Bertha Chiroro, Said Adejumobi, Sheila Bunwaree, Jeremy Seekings, Tom Lodge. Key terms: Afro-governance, Continentalism, Africa, Emerging, Democratic, Regime, Resolution, Transformation, Election, Conflict, Legislation, Electoral, Process, Third-term, Future, Nigeria, Election, Management, Cameroon, Independent, Candidature, Dilemmas, Opposition, Political, Parties, Southern Africa, Reviving, Failed State, 2005, General Election, Liberia, Gender, Governance, Mauritius, Partisan, Realignment, Cape Town, 1994-2004, Irish, Review, Electoral System Design: The New International IDEA Handbook. ABSTRACT: The 1994 Abuja Treaty Establishing the African Economic Community (AEC) commits African states to eventual Pan African political and economic union - a United States of Africa (USAf). Pan-Africanism's ultimate goal is twofold: an African federal system with a central authority possessing supranational powers and a unitary community resulting from the merger of sovereign African states. But the Abuja Treaty's ideals remain a distant goal. For now, Africa has entered an important stage en route to that ideal - a �new' wave of Pan-Africanism: progressive �continentalism'. The continent's state actors and key institutions promote a new progressivism, which champions development, peace and security, democratic governance and accelerated economic growth. Whereas the OAU defended non-interference in the domestic affairs of African states and unity and solidarity at all costs and was preoccupied with the liberation struggle and efforts to rid the continent of colonial rule and white minority oppression, the African Union promotes a �new' wave of inter-African union based on the doctrine of nonindifference, by which African states are encouraged to become more democratic and �good' governance is promoted. However, although the new progressive continentalism promotes Afro-governance it is fraught with major challenges because of adherence by the vast majority of African states to narrow notions of �sovereignty'. The challenges notwithstanding, while Pan-Africanism remains a distant aspiration, it would be prudent to focus on the consolidation of a progressive continentalism. ABSTRACT: Three fundamental points underpin the paradigm of electoral conflict resolution. First, resolving a particular electoral conflict does not imply that disputing parties will never resort to conflict. In Africa, political, economic, and social issues are deeply intertwined, a link which generates various forms of tensions and conflicts. The paradigm of conflict resolution, in this context, then, means disputing parties may revert to conflict, but not necessarily over electoral issues. Secondly, inbuilt in the paradigm is the recognition that some conflicts can become intractable or protracted. Such conflicts need to be significantly transformed into forms that can be approached constructively. Thirdly, the rationale for resolving electoral conflicts is not to compel the parties to conform to the same political ideologies, persuasions, or worldviews. Neither is the rationale to compel disputing parties to adopt similar perspectives and approaches to political issues, or articulate similar political viewpoints. The rationale for resolving electoral conflicts is to encourage stakeholders in the electoral process and conflicting parties in a particular polity to co-exist peacefully despite their different worldviews, political biases and ideologies. These three fundamental points lay the theoretical and analytical foundations of this paper. ABSTRACT: Elections have meaning for most people in a democratic context only because they lead to the choice of decision-makers by the majority of citizens. Elections and democracy are therefore inextricably linked. Three major challenges face the future of both in Nigeria as it moves towards the 2007 elections. The first is the will and capacity of the National Assembly and the Independent National Electoral Commission to keep to a road map that will lead the country to free and fair elections in 2007. The second is the ambition of President Olusegun Obasanjo to change the Constitution and have a third term in office against the wishes of a majority of Nigerians. And the third is to ensure that the next elections are not as massively rigged as the previous ones were. ABSTRACT: Judged by internationally accepted norms and standards election management in Cameroon stands out as peculiar in more than one respect. Firstly, election management tasks are performed by a multiplicity of bodies and institutions, making it difficult to determine who is really responsible at each stage of the process. Secondly, the conduct of elections is governed by a battery of cross-referencing laws which election stakeholders often find hard to interpret and apply. The problems arising from this situation need to be and are, presently, being addressed within the framework of reforms that target, on the one hand, the adoption of a single, updated and enforceable electoral law and, on the other, the setting up of a viable election management body and the introduction of modern management methods. ABSTRACT: This study reviews the participation of independent, non-partisan candidates in Africa. 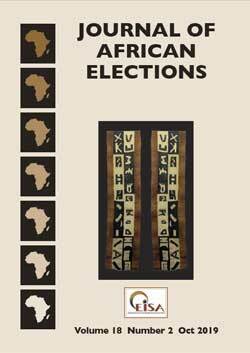 It examines the development of competitive elections on the continent between 1945 and 2005, a period which includes both decolonisation and democratic transition elections. It also focuses on the participation of independent candidates in these elections at both legislative and presidential levels. It further analyses the place of independent candidature in the continent's future electoral processes. ABSTRACT: This paper focuses on the dilemmas of opposition political parties in Southern Africa as they grapple with the double roles of democratising state and society and attempting to capture state power in an environment that has been ideologically hostile to the existence of opposition political parties. The supremacy of the liberation parties in the region makes it very difficult for the opposition political parties to rise to the challenge of offering alternative policy positions. The legitimacy enjoyed by the liberation parties causes ideological dilemmas for the opposition in its competing claims about the shape of economic and political governance. In extreme cases the opposition has to find strategies for responding to harassment, attacks on their supporters, media bias, misuse of state resources and the constraints of the dominant party system. Drawing on examples in Southern Africa the paper highlights the contradictions inherent in the perceptions of opposition parties in governance, their relative electoral weakness and the expectation that they should be the guardians of democracy in a multiparty system. The paper contends that the opposition in Southern Africa has been neglected in the governance debate. If Barrington Moore's maxim �No opposition no democracy' is used to measure the levels of democratisation in Southern Africa it needs to be changed to �No viable opposition no democracy in Southern Africa'. ABSTRACT: The paper reviews the 2005 general election in Liberia, analysing its background, context, processes, dynamics, contradictions and outcomes. The election was generally acclaimed as the most competitive, free, fair, transparent, and credible in the political history of the country and constitutes a significant milestone in the transition from war to peace and the return to political normalcy and democratic rule. However, it evokes a curious paradox: how did a country just emerging from the ashes of a brutal war and unimaginable human destruction, aptly described as the quintessence of a failed state, manage to organise a credible and successful election? Postconflict countries are usually characterised by deep social and political divisions, low political consensus and immense organisational and logistical challenges in the conduct of elections. Three factors, both domestic and international, coalesced to facilitate the emergence of consociational electoral politics and the conduct of successful elections in 2005 in Liberia. These were: the fact that the Liberian people, exhausted by war and violence, were determined to try the electoral option in addressing the question of political power; the preparedness of the electoral commission, in spite of huge operational problems, to conduct free and fair elections; and the tremendous support for and commitment of the international community, especially the United Nations, the Economic Community of West African States, the African Union, and the European Union to the electoral process in Liberia. The successful election marked a process of political renewal and democratic rebirth for a beleaguered, war-ravaged nation. Sheila Bunwaree is a sociologist/gender consultant for various regional and international organisations. She teaches sociology and political science at the University of Mauritius and is currently Archie Mafeje fellow at the Africa Institute of South Africa and visiting fellow at the Australian National University, Canberra. ABSTRACT: The object of this paper is to explore the reasons for the under representation of women in the Mauritian legislature as well as to examine the implications for democratic governance of such under representation. It argues that although elections are necessary they are not sufficient to legitimise the state. The regularity and peacefulness of Mauritian elections are no doubt an asset but state legitimacy can only be strengthened and democratic governance consolidated if diverse interests and concerns are taken into consideration. Women constitute more than half the population and if their voices remain insufficiently heard democracy is malfunctioning. The paper makes a strong case for electoral reform based on a gender friendly and gender sensitive proportional representation (PR) system. The paper concludes that more women are needed in the legislature in order to work and push for the emergence and consolidation of a gender inclusive developmental state. The demand for more women parliamentarians is not a mere numbers issue but a call for transformational politics, that is, for equity, for social justice, in short for the betterment of the human condition. ABSTRACT: The Western Cape is the one part of South Africa that has experienced strong competition in democratic elections and a dramatic shift in power between political parties. Between 1994 and 2004 the initially dominant National Party lost almost all of its support, while support for the African National Congress rose steadily. Because of both the heterogeneity and supposed fluidity of the �coloured vote' neither voting patterns nor shifts in the Western Cape fit neatly within a simple racial explanation of voting behaviour. Firstly, coloured voters have voted for opposing parties. Secondly, it has been asserted widely, there was a swing among coloured voters from the National Party to the African National Congress. This paper explores ward-level election results and survey data on Cape Town to show that coloured voters continue to be heterogeneous in their voting behaviour but that there is little evidence that former National Party supporters became ANC supporters between 1994 and 2004. The major cause of shifting partisan power in Cape Town is not voter realignment but rather demographic change, with differential turnout playing a role in specific elections. It is the overall electorate, rather than the individual voter, that has changed. ABSTRACT: Why might South and Southern Africans find the Irish electoral experience especially relevant and instructive? Firstly, they may identify parallels with their own recent political history. Ireland's political institutions are the result of a post-colonial settlement and were designed to accommodate an ethnic minority. They survived a long period of one-party rule. Historically they were specially suited to the political predispositions of a mainly rural society. Secondly, Irish electoral arrangements offer to Southern Africans useful lessons for any effort to make political representatives more accountable to citizens. For better or for worse downwards accountability is an especially pronounced feature of Irish politics. This paper will explore Irish electoral experience and the insights it offers to advocates of electoral reform in Southern Africa.